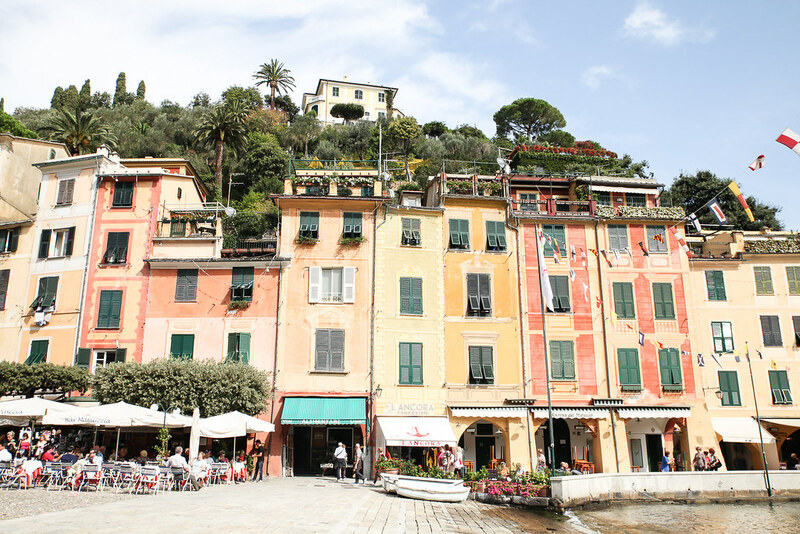 This week I’ve had the pleasure of road tripping through the Italian Riviera, the first stop on our map was Portofino. 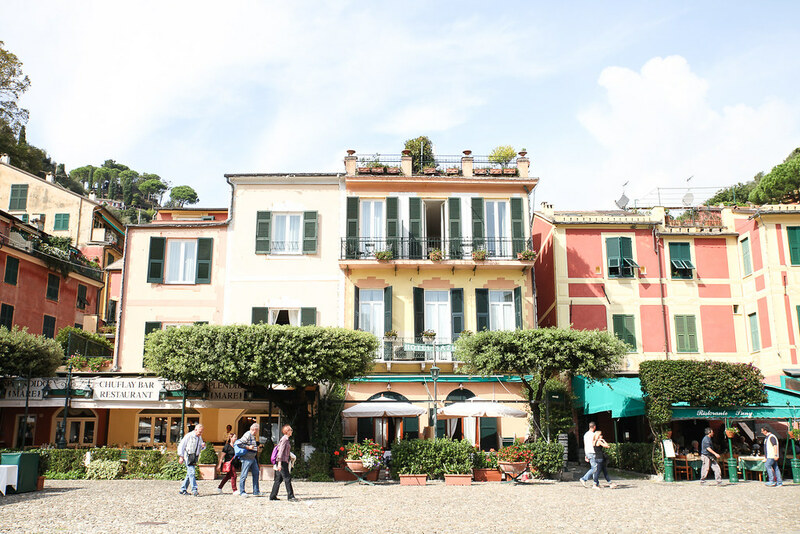 We took the scenic route and passed picturesque towns indented into the coast along the way. The sight of clear blue skies in October and the feeling of fresh air rushing in through the car windows only heightened our excitement to arrive at our destination. 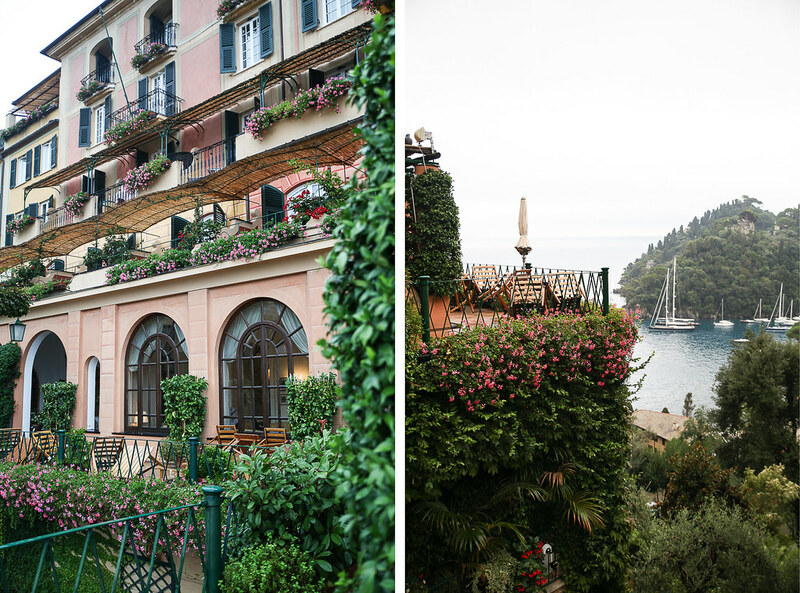 Portofino lived up to every hope we had for it. 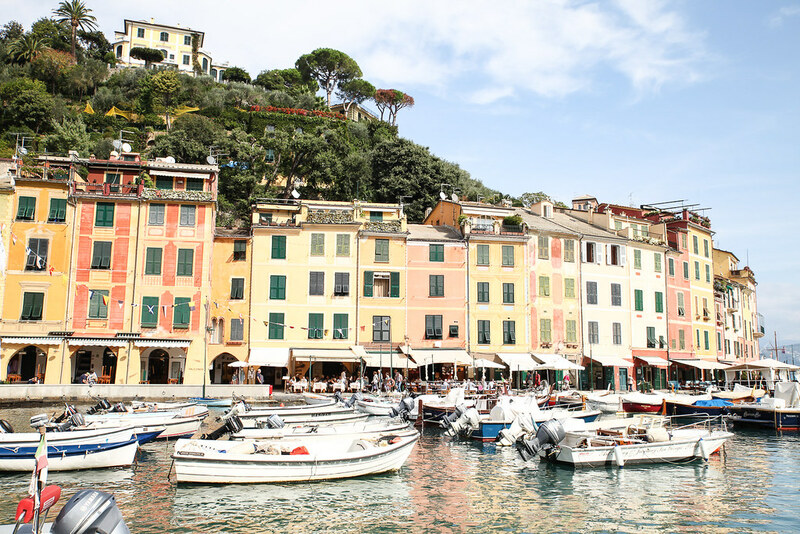 It’s a beautiful fishing port with brightly coloured houses, a cobbled square lined with restaurants and a marina overflowing with luxury yachts. But its appeal comes not only from its beauty but also from the peace and tranquility which the town seems to radiate. Maybe we went in the quieter season when visitors had already packed up and left, but we enjoyed it all the more. Whilst eating out one evening, we asked the owner for his recommendations, to which he replied, “castle, church, lighthouse and you’ve seen all of it”. 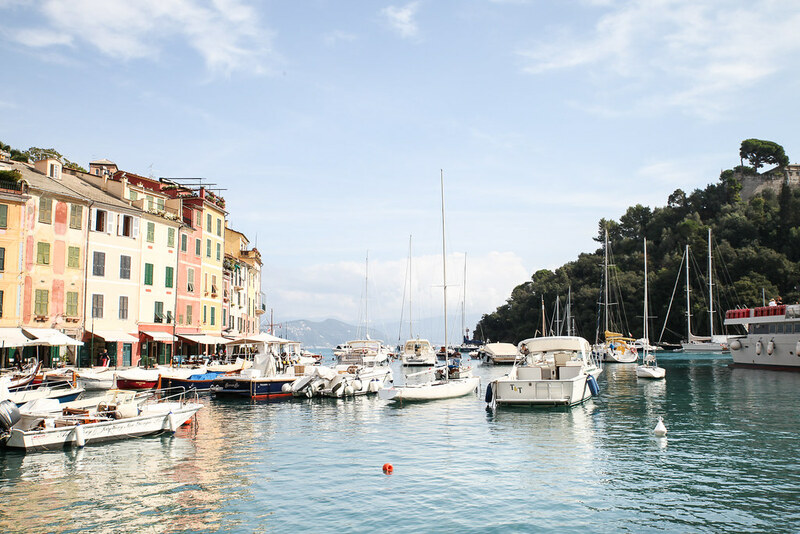 He wasn’t far off, Portofino is charmingly tiny but it still helps to have a few addresses up your sleeve, so below I’ve curated a few of our favourite places to help you uncover the best of this little harbour town. 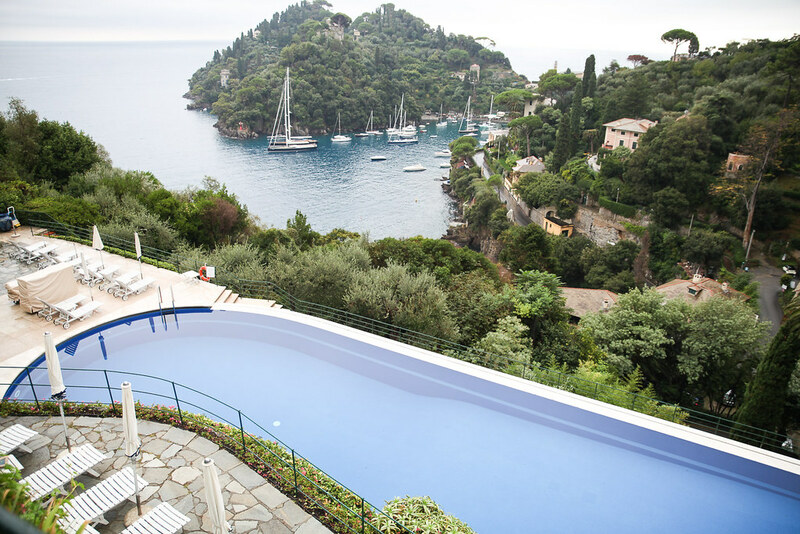 The Belmond Splendido is the epitome of luxury. 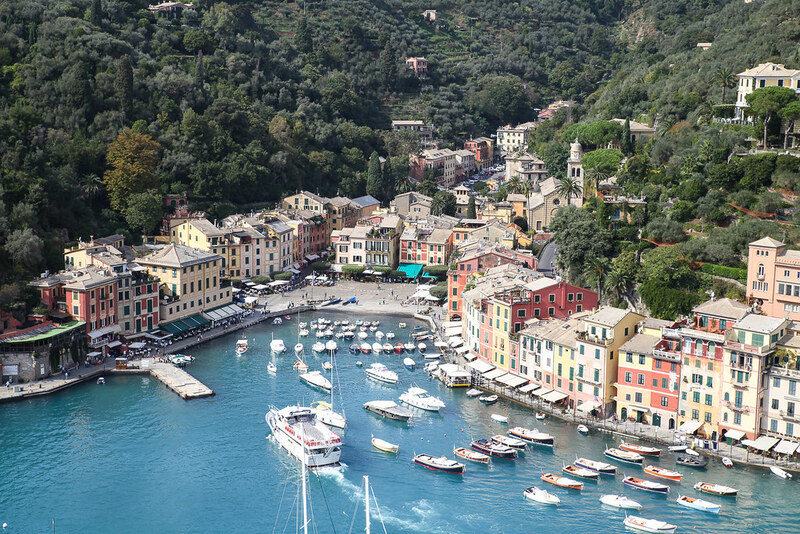 It’s located in the verdant hills and overlooks the bay of Portofino with its deep turquoise waters and extravagent boats docked in the marina. You needn’t stay overnight but can enjoy the glamour of the hotel with drinks and dinner on the flower covered terrace followed by a romantic evening of live piano music. The very pretty Hotel Eden is only a couple of footsteps away from the harbour and could not be any more conveniently located. 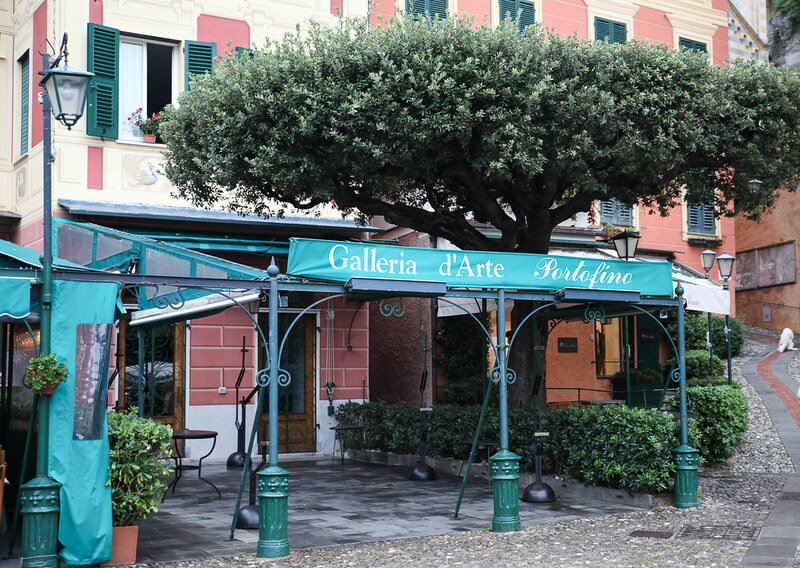 It has a very Italian ambience due to the laidback owner, the interior décor and the romantic verandas. 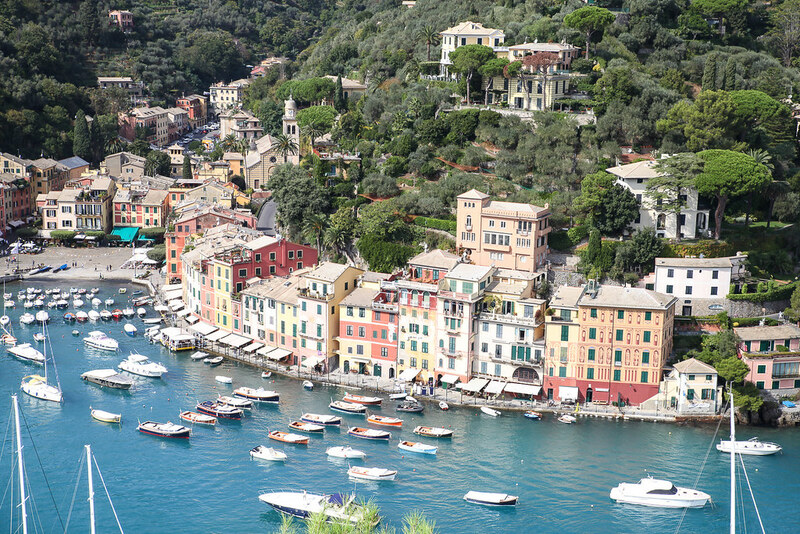 San Fruttuoso is the neighbouring fishing village and is much more modest but equally as charming as Portofino. 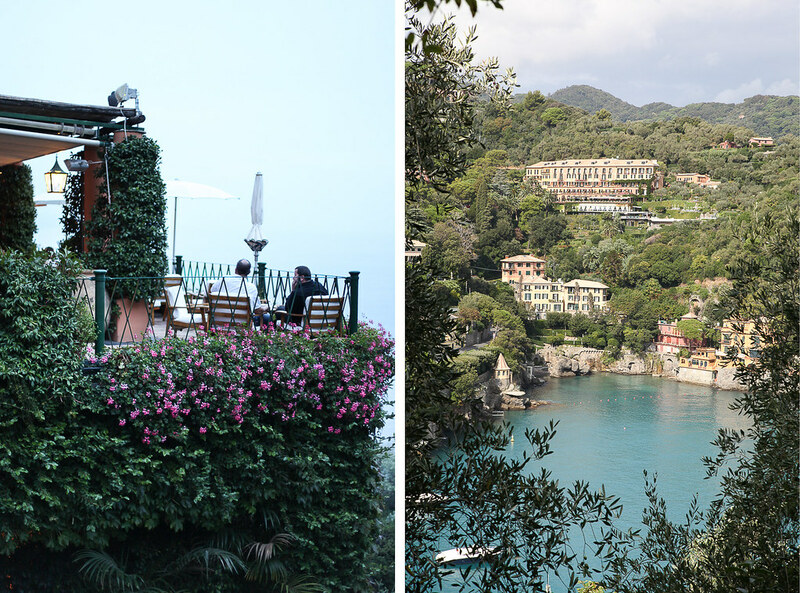 You can hike there in a couple of hours, grab lunch by the sea and catch a water taxi back. Ristorante Puny has received rave reviews and with good reason. 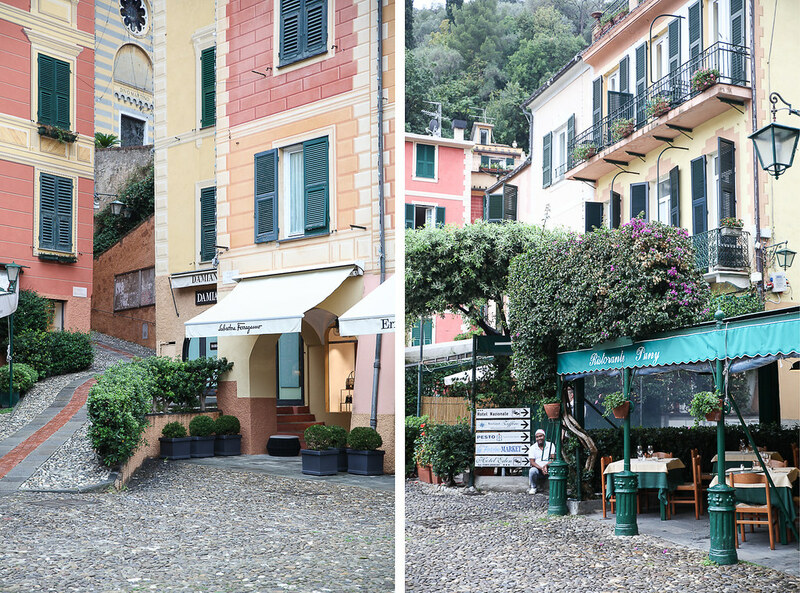 Come here for authentic Ligurian cuisine in the heart of the harbour. This restaurant has been in the family for eight generations and you can tell it’s held close to the heart due to the passion and care that goes into the cuisine. We enjoyed a faultless meal and swore that we ate the best pesto and best lemon gelatohere. 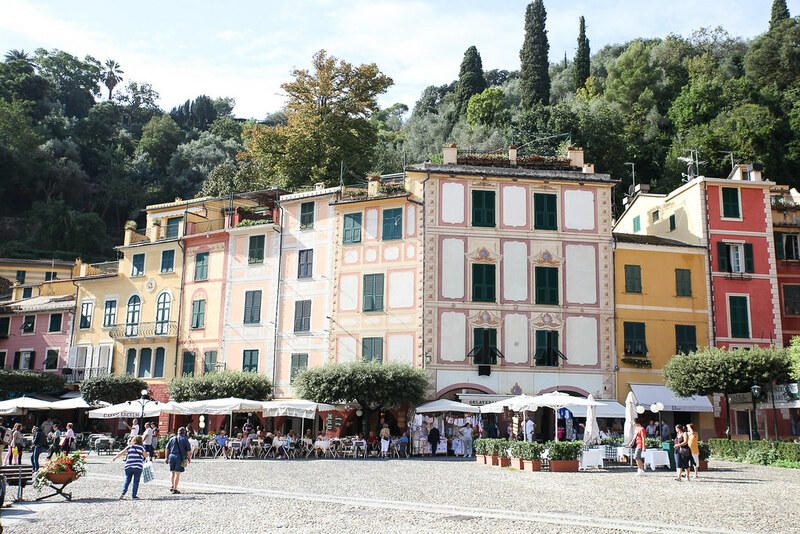 Whilst the castle itself is rather pretty, the real reason to visit is the picture perfect views over Portofino which can be enjoyed from the terrace. This sunshine yellow church can be seen from meandering around the town but its worthwhile venturing up the slight hill to enter inside. Follow the footpath from the aforementioned castle to the lighthouse for beautiful views out to the open Mediterranean sea. At the top lies a little bar with the cheeriest owner so you can cool down and take in the scenery. 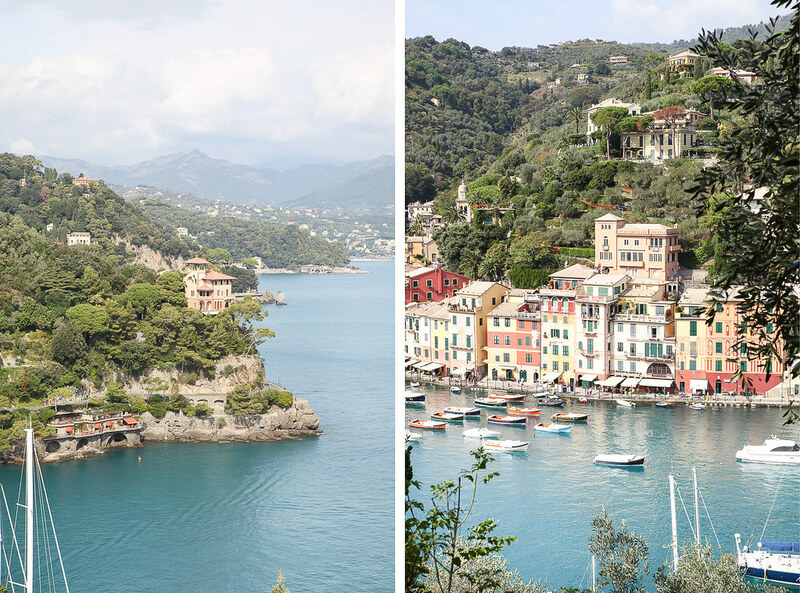 I also have the opportunity to travel last week to the Amalfy Coast and I can see they are very similar! !